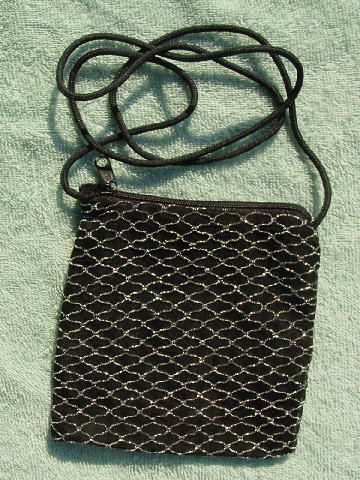 This black net and fabric evening purse has a silver metallic thread pattern. It has a black fabric (probably acetate) lining. There is a top side to side zipper and a 53" long black cord shoulder strap.